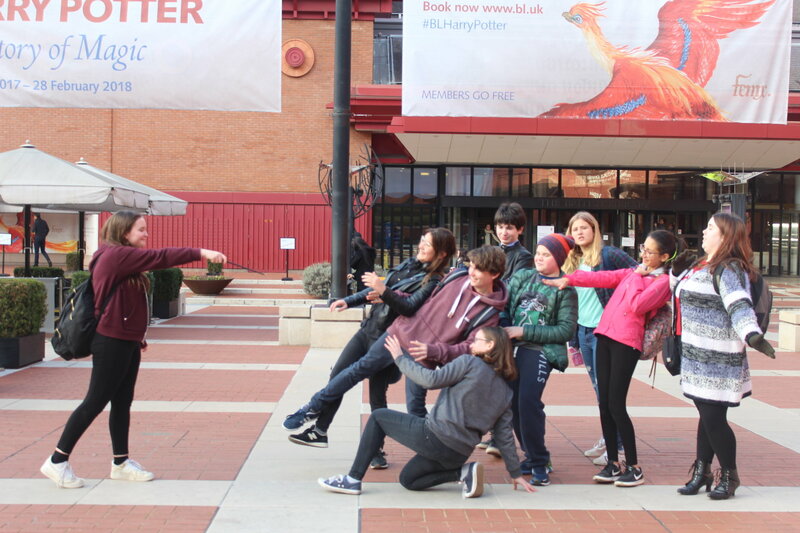 The Senior School Book Club members paid a visit to the ‘Harry Potter – A History of Magic’ exhibition at the British Library last week. This is a big exhibition, packed with all sorts of fascinating historical artefacts and information about magical beliefs through the ages (you might have seen the recent BBC2 programme about it.) 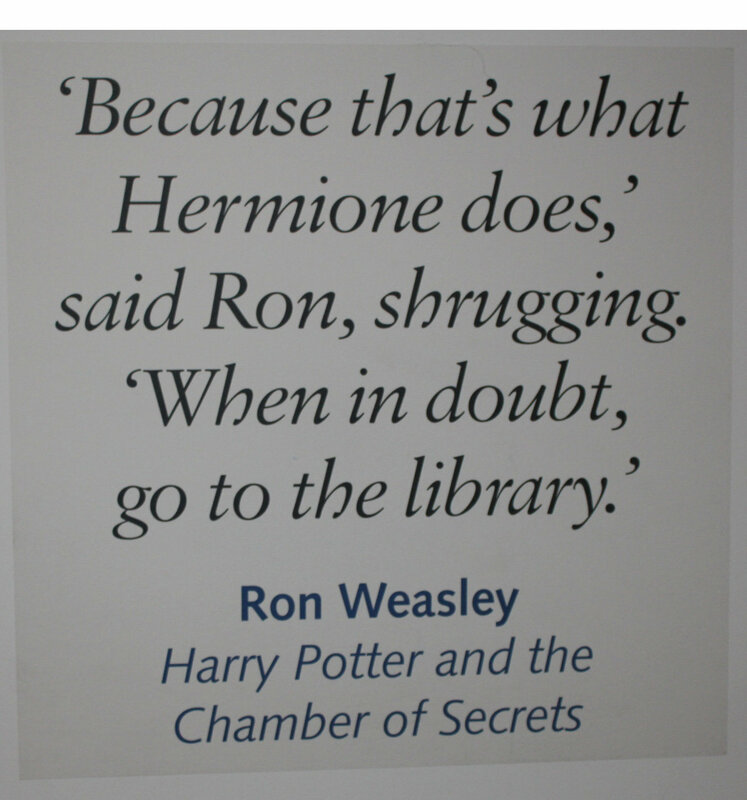 Each room of the exhibition has a different theme, tied in to one of the subjects on the Hogwarts curriculum. You can make your own virtual potion or find out the origin of some fascinating mythical creatures. Amongst some of the most interesting exhibits is a huge scroll showing how to make a philosophers’ stone and a beautiful illuminated mediaeval manuscript showing a phoenix (J.K. Rowling’s favourite creature) in the flames. Interspersed with the magical exhibits are many examples of Rowling’s own drafts of the Harry Potter novels and some of her own illustrations of characters from the books. Once they had explored the exhibition, Book Club members were keen to check out the shop – full of Harry Potter themed goodies – and several members returned home with some magical artefacts of their own. This is a fascinating and very well put-together exhibition, which will appeal both to Potter fans and anyone interested in the history of magical thought and beliefs.